Looks can be deceiving and the Elevape Smart is a prime example for this saying. 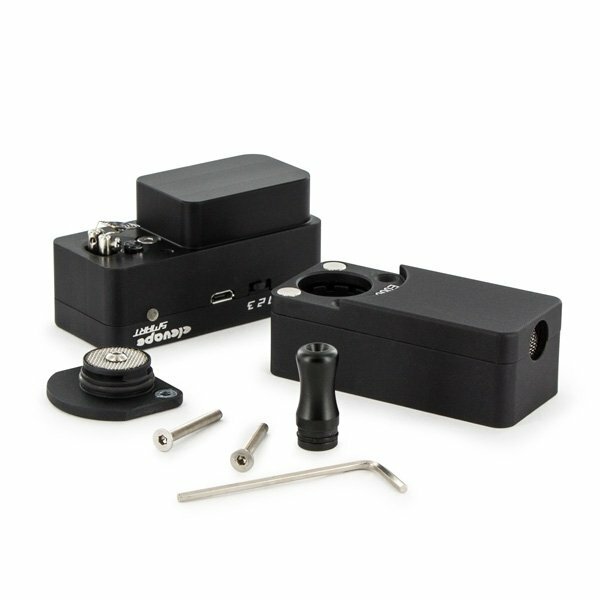 The precision machined plain black block may look a bit clunky, but in effect it hides a highly sophisticated convection vaporizer with many features and lots of engineering work under the hood. Continuously adjusts the temperature to airflow ratio to ensure for thick, rich vapor with every toke. Looks can be deceiving, the Elevape Smart convection vaporizer may look a bit clunky, but in effect it is the Mercedes among portable vaporizers. 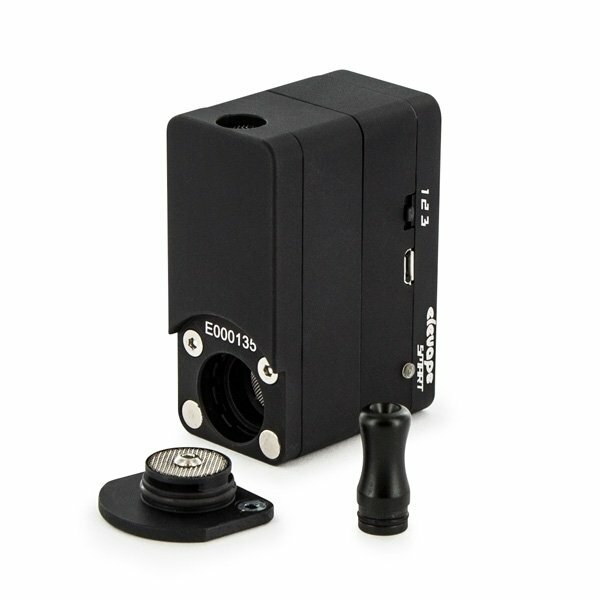 The precision machined plain black block hides a highly sophisticated vaporizer with many features and lots of engineering work. The Elevape Smart uses a titanium alloy coil as heat source. The vaporizing process is constantly controlled by a micro processor, that monitors the heating coil over 100 times per second in order to keep a constant temperature in the heating chamber. While you inhale, it continuously adjusts the temperature to airflow ratio, so you will always get the same thick and rich flavor, no matter how hard you are drawing. The Elevape Smart is powered by a 1200mAh six cell lithium polymer rechargeable battery pack with built-in charge control. 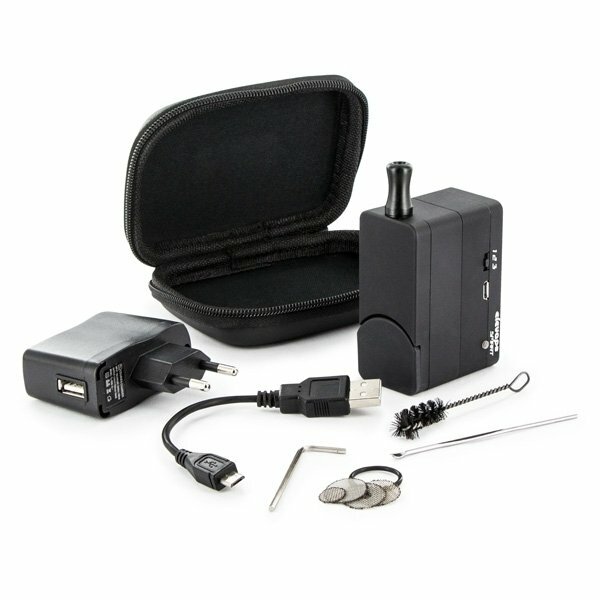 This high-power battery allows for instant use after activation of the unit and has enough power to last for a full day of vaping. The battery can be recharged at any USB outlet. 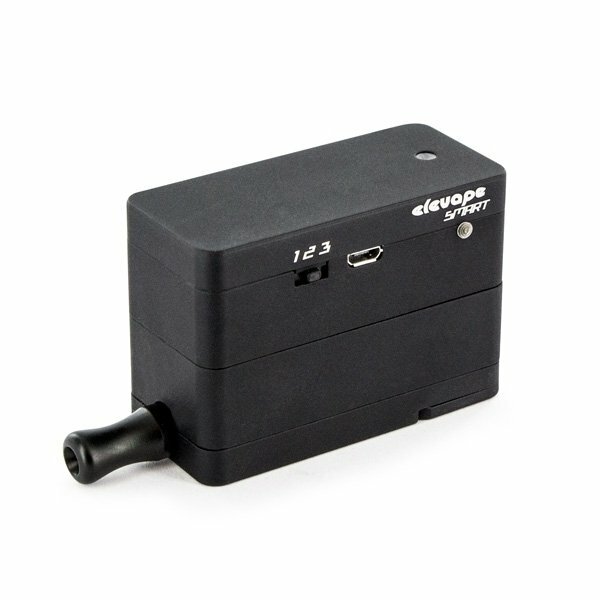 The Elevape Smart comes with 3 factory-set temperatures, adjustable by the user by using the exclusive Elevape Smart App (downloadable for free from the elevapesmart.com website). The Elevape Smart smart is entirely made out of aircraft-grade aluminum and the surface is glass bead blasted and anodized for an elegant and scratch-proof finish. The herb chamber is lined with a special coating for easy cleaning - the airway module is dishwasher safe. The Elevape Smart is extremely simple to use: Load the chamber with your preferred herb, activate the unit and start inhaling.